Home » Nolah Signature Mattress Giveaway! TGI-Monday, ya’ll! It might not be the start of the weekend, but it is the start of a new mattress giveaway here at Sleepopolis! Up for grabs is the Nolah Signature Mattress — winner gets to choose the size that best fits their sleepy needs. So what are you waiting for? Scroll, enter, and cross your fingers! Some of you may remember Nolah’s original cooling, pressure-relieving all-foam 10″ mattress. Now imagine that, but with two extra inches of foam and a flippable feature that offers soft support on one side, and firmer support on the other! Too good to be true, right? Wrong! Nolah’s new mattress model offers an extra comfort layer and the option to switch firmnesses according to your preference! It’s almost like having two mattresses instead of one. Thanks to the extra half inch of AirFoam in the new Signature’s comfort section, we’ve got a whole lot of dreamy sinkage and body contouring going on here. And you know what that means… more pressure-relief! We could all do with a little more pressure-relief in our lives, but side-sleepers might especially enjoy the memory-foam like top layer on the soft side of the mattress. Not to mention, this mattress offers low motion transfer on both sides. So, if you share your bed with a partner, you can roll around until your heart’s content without disturbing them. Pretty cool, huh? So what do you say? Ready to test your luck for a chance at some better sleep? Enter now to get in the game, and check out our full written review for some extra inspiration! Good luck, sleepers! This mattress looks too good to be true! I think this is awesome! I am a side sleeper and I also sleep with dogs who like to move around a lot and wake me up. I think this would be the perfect mattress for me! This sounds like a great mattress, thanks for the chance. I think the Nolah Signature mattress sounds amazing. I would so love to have one in my bedroom.. Remember the story of the Crooked old man who lived in a crooked house. Well I am beginning to think if I had your mattress I wouldn’t be like him. The Nolah sounds like a well constructed bed for my back. Love cool sleep with pressure relief. Important for this side sleeper. It looks quite comfortable to me. Especially compared to mine. I think this mattress would be a good fit for us with the body contouring and low motion transfer. Sounds like the Nolah is the one for me. I hope I WIN because I really need a new mattress. Thanks for the chance. This mattress sounds great to me. I love my memory phone however I haven’t tried anything else either. I like to sleep cool and I have pressure points that need relief. Thanks so much. Would be nice to sleep for 8hrs. have not had more than 4hrs a night in last 12 yrs. This sounds so comfortable!! All encompassing, wrapped in a comfort cocoon!! I hope I win so i can get a great night’s sleep again! Thank you! Embarrassed to say how old my current mattress is – really need a new one! I would have to sleep on it for a year before making a judgement call. I think this mattress is amazing. Looks so Comfy. I really want to win this for a member of my family. Have not had a good night sleep in years. 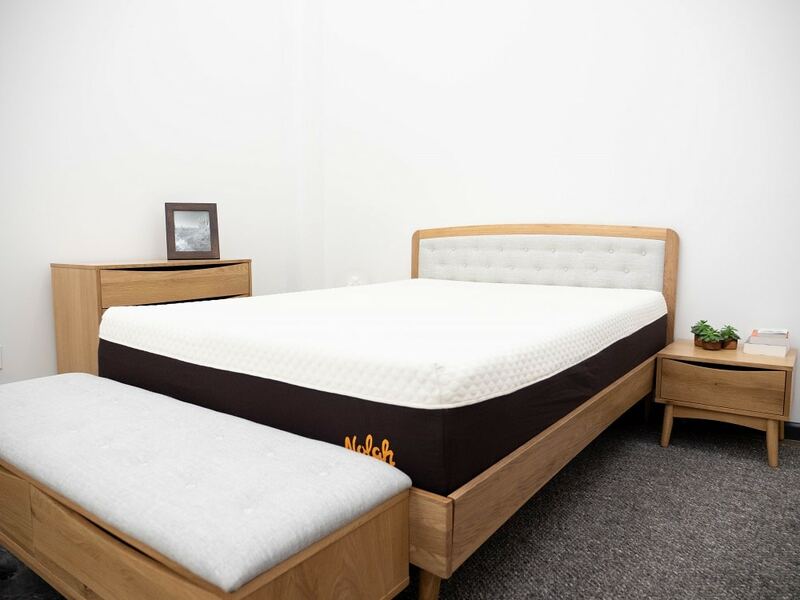 The Nolah signature mattress looks super comfortable. It looks like a wonderful mattress. Thank you for the chance to win it! I think the Nolah Mattress is amazing!! It looks like a very versatile mattress! Desperately need a new mattress! I think it is great! I love the non motion transfer feature! I really like the fact that it contours to the body. Cool giveaway, thanks for the chance! Sister threw out my water bed after my husband died. Gave me a bed that a little lady she rented her condo to had died. HAVEN’T had a good night’s sleep since. Fingers crossed. I would love to try out.. I need a new mattress SO bad! Mine is at least 15 years old and I can’t afford a new mattress!